Thousands of recruits as young as 15 learned how to kidnap soldiers, use weapons, and infiltrate into Israel though tunnels at a Hamas paramilitary training camp in Gaza. 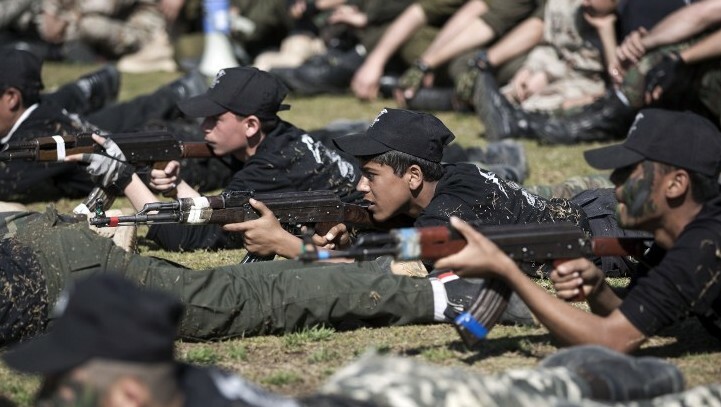 The 15-21-year-olds underwent military training for the armed wing of Hamas, Izaddin al-Qassam, six months after Hamas and other Gaza terror groups fought a 50-day war against Israel. Drills included weapons training and exercises simulating kidnapping IDF soldiers and infiltration into Israel through tunnels. Portraits of Israeli leaders were used in target practice for sniper training. 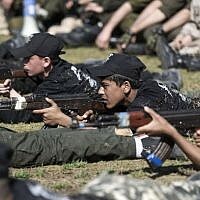 “We are participating in the camp so that we will know how to fight the Zionist enemy and regain our ancestral home of Palestine,” one teenager said, in footage from the training camps screened on Israel’s Channel 2 TV on Thursday night. Thursday’s graduation ceremony in Gaza City was attended by senior Hamas leader Ismail Haniyeh, the former Gaza prime minister. 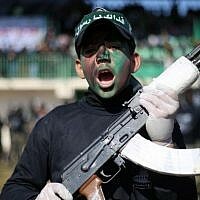 The Islamist terror group, which is committed to the destruction of Israel, took control of Gaza in 2007. According to a Hamas spokesperson, high demand for the camp for forced organizers to expand the program and make logistical changes to accommodate all of the participants. 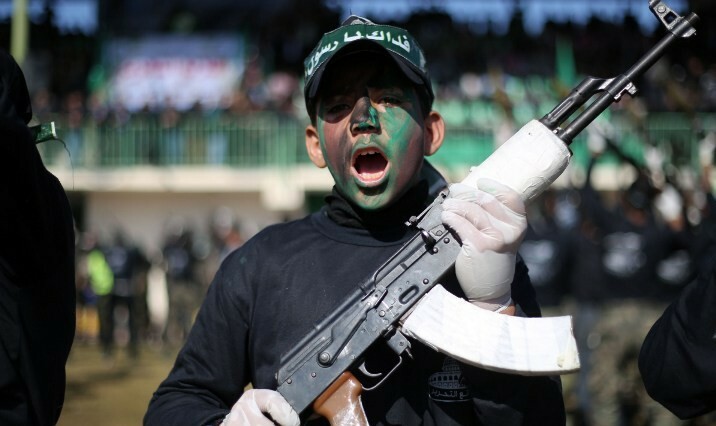 “They train us to be a jihad fighter for Allah, to liberate Palestine from the defilement of the Zionist occupations, and to be ready for our upcoming Independence, Allah willing,” another young participant said. 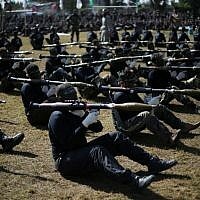 Hamas organizes military-style camps for young recruits each year, but this was the first time its military wing hosted the training at its bases, the TV report said. 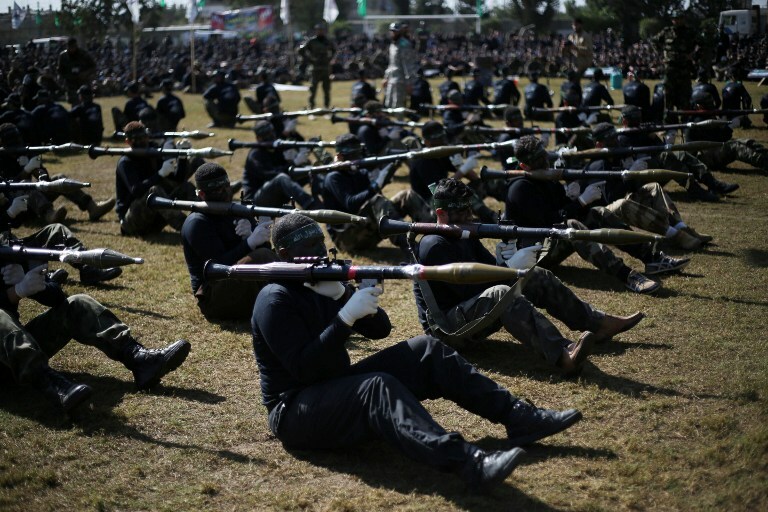 The al-Qassam Brigades is estimated to have 20,000-25,000 fighters in its ranks. Some 2,000 Gazans were killed in the summer war; Israel said most were Hamas and other gunmen, and blamed Hamas for all civilian fatalities since it emplaced its rocket launchers and cross-border tunnel openings in Gaza residential areas. Seventy-three people were killed in Israel. Hamas fired over 4,500 rockets and other projectiles into Israel, and staged several attacks through the tunnels.